Property 24: Light, bright apartment 2 minutes from beach. Property 30: Salty Sand & Pepper !!! 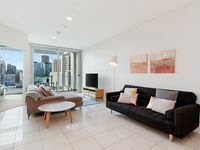 Property 33: Stylish and comfortable, views over Gouger St! Property 37: Beachfront at WEST BEACH.......Reduced rates on offer!! Property 41: Want to ESCAPE and RELAX by the sea? Property 44: ACAILL ACCOMMODATION - Esplanade Living!